The SNES Classic Edition's incredible line-up of games makes it a must-have item on its own, but its inclusion of Star Fox 2 transforms the little console into a curiosity. Though the follow-up to Fox McCloud's 3D space-shooting adventure was ready to distribute back in '95, Nintendo shut the door on its tail at the last second. There are a few reasons why Star Fox 2 didn't make it to market. Nintendo decided the cost of a Super FX 2 chip-equipped cartridge was too high, plus the N64 wasn't faraway from launch at the time. It's also speculated Nintendo didn't want Star Fox 2 to be held up against the PlayStation and Sega Saturn games being released in the latter half of the '90s. The 32-bit generation was well-equipped for handling polygonal shooting games. The SNES was not, though it tried its darndest. Star Fox 2 likewise tries its best to deliver a shooting experience on par with what we considered top-tier consoles at the time. The effort is commendable, but the final product is messy; moreso than the original Star Fox, which has its problems but knows exactly what it wants to be. Star Fox 2 takes place a little while after the events of Star Fox. The evil Andross survived Star Fox's initial attempt to wipe him out, and now he's back as a cyborg-monkey. He's got that half-mechanical Terminator face going on, so you know he means business. Monkey business. Hell hath no fury like a primate shot. Andross is, pardon my language, pissed. He throws an enormous force at Corneria, including missiles, attack carriers, mercenaries, and even bio-weapons like a giant space-dragon. Star Fox 2's urgent tone pairs well with its map navigation. Unlike Star Fox, you're not ushered from one level to the other. Instead, you're responsible for intercepting attacks on Corneria as they happen (the planet can absorb some hits, but not many), and then wiping them out at their source. Once you've stabilized the Lylat galaxy, you're allowed to take on Andross. I'm a fan of Star Fox 2's strategic element. I like being allowed to decide when I need to intercept missiles, and when I need to push forward and attack the problem at its source. I also like having my choice of pilots and wingmen. 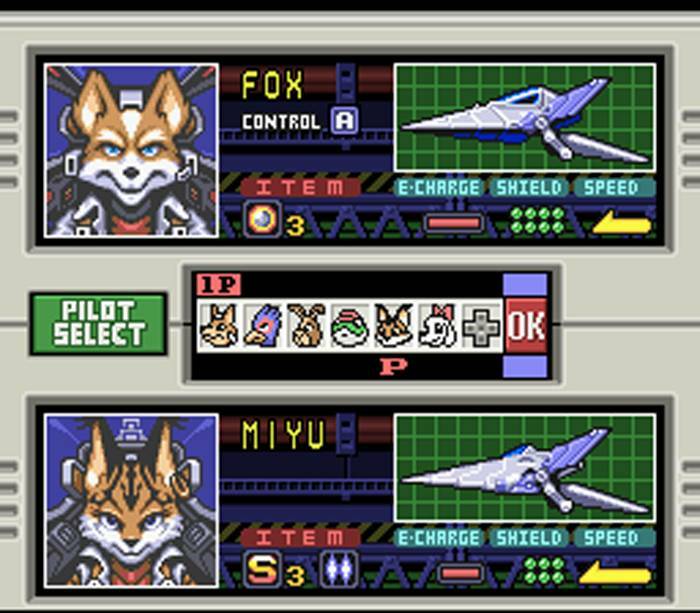 Star Fox 2's buddy system lets you take advantage of pilots' unique skills and talents, which is far more useful than picking bogeys off Slippy's back in the first game. Thing is, Star Fox 2's map system feels solid, but its actual levels feel much more haphazard. Space combat is generally excellent, and debuts the series now-famous "All Range Mode," which you use to chase down your foes. All Range Mode gets a heavy workout when you go up against the Star Wolf mercenaries. These scraps with Wolf and his merry men aren't as elegant as in Star Fox 64—they're less about skillful flying and more about playing chicken in the vacuum—but they're exciting. "Khajiit have no idea what she's doing." 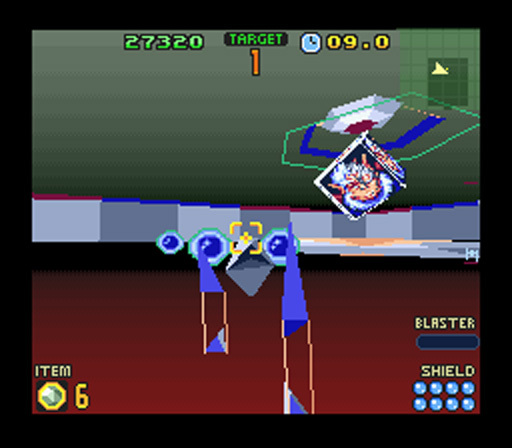 Star Fox 2 slows to a strained whirr when you engage in planetary combat, however. Planets are typically where you break out the Arwing's walker mode, a combat vehicle that chunks along the ground. Most walker stages are All Range affairs that require you to step on switches and shoot triggers to open up paths to new areas. You can switch back to your vanilla Arwing at any time, but flying it in indoor areas engineered for the walker is inelegant, to say the least. Solving Zelda-style puzzles in a Star Fox game isn't my idea of a good time to begin with, but the walled-in "dungeons" you slog through are garish jumbles of polygons with bad frame rates. They quickly become tiresome to traverse. Star Fox games have long been criticized for giving us mechanics nobody asked for—submarine trips, tank combat, dinosaur clubbing—and I suppose Star Fox 2's walker is ground zero for these diversions. It's cool Argonaut pushed the SNES to its absolute limit, and its decision to try something completely new with Star Fox's traditional combat is admirable, but when I think "Star Fox," I don't want to think "staggering around a Creamsicle-colored hallway at 10 FPS." 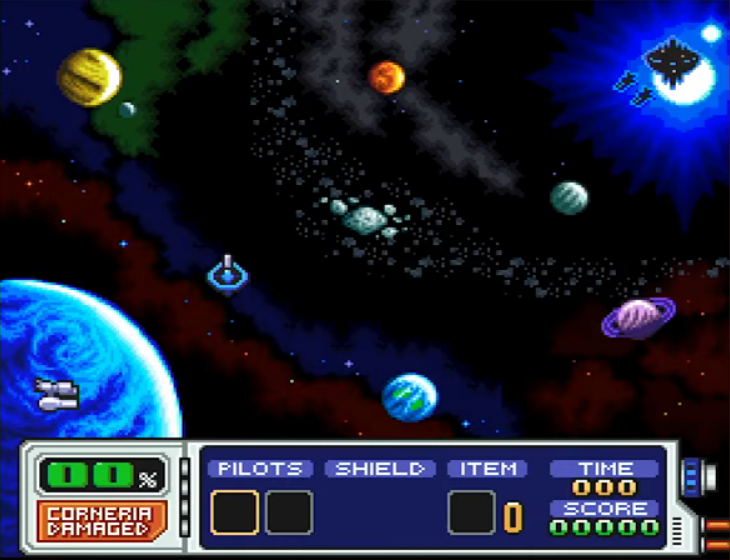 Star Fox 2's planets lack personality, something that's not an issue with the first game. Star Fox has iconic battles on highways, under huge bridges, and on planets filled with huge flora and fauna. Star Fox 2 expends its efforts on 360-degree battlefields at the expense of giving its spaces unique touches. One base looks the same as another, whether you're on Titania or Venom. Speaking for myself, I'd prefer to give up the walker and All Range Mode for more linear shooting, more exotic locales, and more of what makes Star Fox fun to burn through once you acclimate yourself to its frame rate. I'm glad Star Fox 2 is included on the SNES Classic. It's an important part of Nintendo's history, and it's interesting to study the "missing link" between Star Fox and Star Fox 64. Some of its bold design choices also pay off, like the dog-fights with Star Wolf and the interactive map that asks you to make strategic choices. Had I played Star Fox 2 back in '95, however, I think I would've felt underwhelmed by its adventure-based elements. There's a lot Star Fox 2 gets right. Players have a lot more control over the game's map, they can choose their pilots, and the dog-fights in space are a blast (even if Star Wolf's now-famous sass is undercooked in this debut). But Star Fox 2 also sacrifices a lot of the first game's charm and uniqueness for moments of ground-based exploration that chug along when you'd rather be zipping through space. Tagged with Nintendo,	Retro,	Retro Reviews,	Reviews,	SNES,	Star Fox,	Super Nintendo Entertainment System: Classic Edition. The Super Nt will come with a copy of Super Turrican: Director's Cut.